This conditioner is formulated with natureﾒs aid to condition, shine and replenish hair. It contains essential oil of balm mint to refresh and nourish and essential oil of tangerine to stimulate the scalp, smooth and add shine to your hair. This natural balancing conditioner is suitable for men and women and for all hair types including dry and coloured hair. Formulated without parabens, sodium lauryl/laureth sulphates, artifical colour and fragrance for natural conditioning. This formulation was awarded "Best conditioner" in the 2008 UK Natural Health & Beauty Awards! 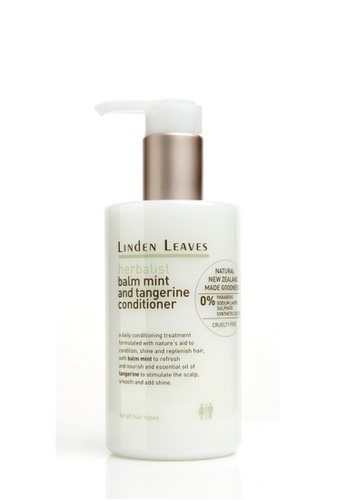 Can't find Linden Leaves Herbalist Balm Mint & Tangerine Conditioner in your size?